It's no coincidence that this place is called Neuschwanstein. King Ludwig II himself acted through Palando to transfer his famous castle to the Kingdom of Minevaria. In honor of the Kini (bav. 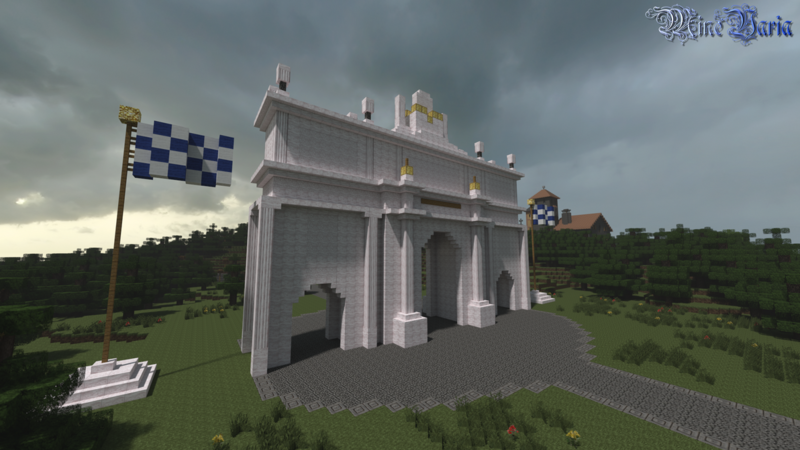 "king"), the subway station is particularly magnificent and you'll be welcomed by a triumphal arch – the Ludwigstor – if you approach the small village between Gratlingen and Hefenberg from the west. Neuschwanstein Castle is King Ludwig II's famous castle in the heart of the Bavarian region Allgäu and now as well in Minevaria. 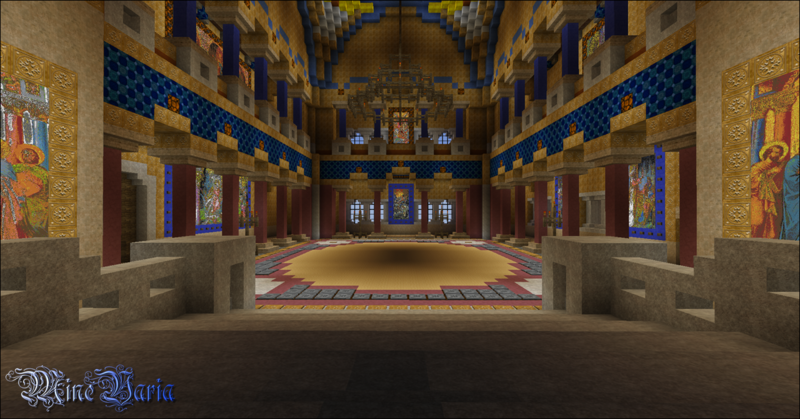 The replica was built with more than 300,000 marble blocks, 20,000 sandstone blocks, and about 40,000 cobblestone roof blocks. The original is visited by 1.3 million people per annum. It only reached the eighth place of the modern seven wonders of the world, but it can still be called the 8th world wonder. To understand the origin, one has to address King Ludwig's circumstances: He surprisingly became the Bavarian monarch as young as 18 years old and quickly had to cope with the resounding defeat in the war against Prussia in 1866, the war against France in 1870/71 and the foundation of the German Empire under Prussian supremacy. Contrary to his understanding of absolutist royalty by the grace of God, he had no choice but to follow his cabinet, in the Austro-Prussian War of 1866 as well as other affairs. So what does one do if reality seems bleak? Escape into dreams or fairy tales! Ludwig, who identified himself with the Swan Knight Lohengrin, is not called "Märchenkönig" (ger. "fairy tale king") for nothing. After visiting the Wartburg, the source of inspiration for the Singers' Hall, Ludwig started building Neuschwanstein Castle in 1869. The gatehouse was completed first in 1872 so he could watch the construction from there. It was to take another eight years until the Palas was completed and four more until the interior was ready to move in. Increasing financial problems lead to a coup: His own cabinet declared him mentally incurable and therefore incapable of governing. What really happened at Lake Starnberg, just three days after his dethronement, is likely to remain a mystery. 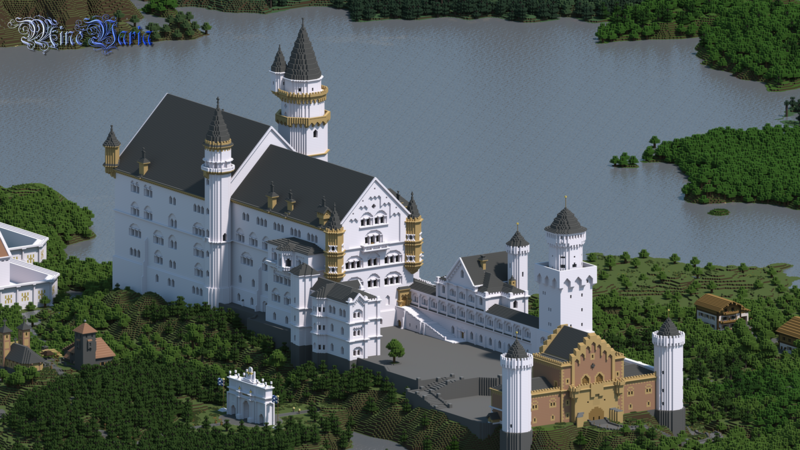 Because of Ludwig's early death, Neuschwanstein Castle remains unfinished to this day. The Ludwigstor is a classical triumphal arc located in the west of the village. It was built by Fritoeser in September 2013. The arc is based on the Triumphpforte in Innsbruck, which was built 1765 on the occasion of the marriage of Archduke Leopold and the Spanish princess Maria Ludovica.